In my quest to educate the world on building science topics, I find that I often have to go back to basics. Whether it's the basic nature of heat, why we're using the wrong quantity to characterize infiltration rates, or the reason that the media's focus on caulking windows drives me crazy, I try to find the fundamental issues involved and explain them in terms that are easy to understand. Today, the topic is one even some people in the HVAC industry don't seem to understand. In January, I wrote an article titled How NOT to Use Your Heat Pump Thermostat because of bad advice that HVAC techs had given to two people I know. Today, I dig a little deeper and explain a central concept in heat pump operation - the balance point. In the world of heating, ventilating, and air conditioning (HVAC) design, there are two terms that often get confused - heating/cooling load and heating/cooling capacity. The load is how much cooling or heating a house needs. The capacity is how much cooling or heating an HVAC system can supply. Pretty simple, right? With furnaces, boilers, and electric resistance heat, the capacity of the heating system is not affected by the outdoor conditions. Well, that's true in an ideal world anyway, where the system and all ducts are inside the building envelope. In homes where the heating system or ducts are outside the building envelope, there is some loss of capacity as the temperature drops. In air source heat pumps, however, the source of heat is the outdoor air. Yes, as improbable as that sounds, cold air CAN heat your home. As it gets colder outside, there's less heat available to bring inside, though, so the heating capacity of a heat pump is highly dependent on the outdoor conditions. In fact, the capacity goes in the opposite direction from the load. The image below shows the story. As the temperature goes down, the load increases and the capacity decreases. At a certain temperature - the balance point - the capacity is equal to the load. For temperatures below the balance point, the home will need supplemental heat. Balance points for many homes are in the mid-30s Fahrenheit. That's not a given, though. I was talking to a HERS rater in Nashville this week who did an energy retrofit on his house, and his balance point is 22° F. That's right. The heat pump supplies 100% of the heat all the down to 22° F. Only then does the supplemental heat kick on. One way to get a lower balance point is to make the house more energy efficient. That moves the load curve down and the balance point to the left. The other would be to increase the equipment size. Of course, if you do either of these, it benefits your heating efficiency, but you'll probably have an oversized cooling system. Note also that supplemental heat is only to make up the difference between the load and capacity when the temperature is below the balance point. For example, from the graph above, this home would need about 9000 Btu per hour of supplemental heat at 25° F, and the heat pump would still be able to supply about 23,000 Btu per hour. The heat pump doesn't have to supply all the heat in the house...unless you do something crazy like turning the thermostat to Emergency Heat just because it's cold outside. Then, you're using all electric resistance heat, and that's much less efficient. Heat pumps are great sources of heat, especially for high performance homes. We ran a couple of guest posts here in January about why you should avoid using a furnace in a high performance home and instead consider a heat pump and hydronic system. If you understand the fundamentals and get a good HVAC design, you'll be more comfortable and have an efficient heating system. Cat in the window photo by Aunt Owwee from flickr.com, used under a Creative Commons license. Great topic, great article! I think there might be a part 2 coming though that discusses the economical Balance Point. Anyone who works with Right Suite's load calc software should know that the capacity and economical balance points are calculated for you. (It's in the equipment screen under split air source HP). This is important info for us energy auditors because the economical balance point tells us the temperature at which a heat pump becomes less economical to operate than our supplemental heat source. In my neck of the woods the economical balance point to switch to electrical resistance heat is often between -10 to -5 degrees. So this means that the heat pump should be running all the way down to that temperature in addition to the supplemental heat that is needed for the lack of capacity. In my research on the topic I started thinking... if only we could have a high heating capacity and the proper cooling capacity in the same heat pump. Then we wouldn't need the inefficient supplemental heat strips. Homeowners can have unnecessarily high electric bills, when an outdoor thermostat is installed and set at temperatures in the mid 30s or above when the unit installed was way oversized to begin with. So oversized for cooling means that it's heating capacity is greater and therefore has a lower capacity balance point that is closer to the economical balance point. Ideally, the economical balance point and capacity balance point should be the same. In reality it will probably never happen. Allison, help me if I misspoke or left anything out. Energy efficiency retrofit improvements should drive the balance point downward. Conversely, things that go wrong (low refrigerant, duct leaks, dirty coils, clogged filter) drive the balance point higher. But doesn't a new home with very low balance point suggest an oversized heat pump? Even if sizing the HP to Florida cooling loads, a balance point in the low 20's would seem to signal oversizing, assuming it's a conventional cooling-and-heating HP (not heat-only), with normal thermostat setpoint. And I'm ever grateful for another jab at CAWADA ("Caulk Around Window And Door Advice"). It drives me crazy. Great point. The economic balance point will come into play for those in cold climates, probably IECC climate zones 5 and higher. As you point out, the economic balance point is going to be lower than most of us in the warmer climate zones will experience. You got me. Of course, you're right that low balance points probably indicate oversized systems. If the load drops, so should the capacity, and that's why balance points are usually in the 30s Fahrenheit. One of the reasons I like writing this blog is that I get to learn, too. Sometimes it's something totally new. Other times it's something I should've known - or actually did know - but needed someone to put me back on the path. Thanks! And thanks also for giving me a nice acronym to use: CAWADA. Maybe we should print bumper stickers - CAWADA drives me crazy! I think the lower the balance point the better because then its closer to the economical balance point. However, since we have to first make sure the unit is sized properly for cooling we have little control over the balance point. Good point about geothermal systems. I appreciate the concise explaination of Load vs Capacity. Perhaps you or your readers can comment on something that is not so clear to me. As a HERS rater, I use REM/Rate software. It generates a report called Heating Load and another called Heating Consumption (I think I've got these right). Can anyone enlighten me on the difference? Also, regarding Matt's excellent comments: the Economical Balance Point will depend on the cost per BTU of the supplemental heat, correct? So it might fluctuate from season to season. For an all electric system (elec. resistance supplemental) the Economic Balannce Point would be when the COP of the heat pump = 1. At this point you should just turn the heat pump off, and use full strip heat, right? Excellent article, Allison. I really enjoy reading your posts. The balance point results from calculating the correct heating & cooling loads and then selecting properly sized equipment to match the loads without oversizing too much. Manual S, which details how to select equipment, says that heat pumps can be oversized a little more than air conditioners because you also have to take into account the heating efficiency. It's always a delicate balancing act, though. One thing you have to look at is whether you do more heating or more cooling. For most of us, heating loads beat cooling loads. As Matt said, your point about ground source heat pumps is spot on. In this article, I focused on air source heat pumps because there are a lot more of them out there than GSHPs. The annual load that you see in REM/Rate tells you how many heating or cooling Btu's the house needs. The annual consumption tells you how many Btu's the homeowners pay for. For example if a house is heated with an 80% efficient gas furnace and has an annual load of 80 million Btu's, the occupants have to buy 100 million Btu's to get 80 million Btu's of heat. With air conditioners and heat pumps, the consumption will be lower than the load because they simply move heat, and they move more Btu's than they use. Yes, the economic balance point will fluctuate because it does indeed depend on the cost. And it will be different for a dual fuel heat pump (one that has a gas furnace for supplemental heat) than for a heat pump with electric resistance supplemental heat. Yes, when the heat pump's COP equals 1, it has the same efficiency as electric resistance heat. When it goes below 1, it's time to shut it off and use strip heat only. I've monitored the balance point in every home, and in the last several homes, I set up careful energy models using state-of-the art software. What I've learned is that balance point charts are almost useless. In my experience, the BP was ALWAYS lower than predicted, sometimes significantly so. Either the heat pump capacity was larger than indicated by manufacturer data, or the MJ heat loads which I carefully modeled were overstated. It's not hard to guess which was the case. Not only are by-the-book heat loads overstated, but the balance point for a particular home will vary several degrees depending on wind speed and thermal mass effects (e.g., how warm and sunny it was on previous days). What to do? There are no easy answers. With over 3 decades of experience with heat pumps, I have developed my own methods for dealing with this when modeling new homes. I recommend everyone involved in this industry do a careful heat load calculation on their own home and then conduct cycle timings at various temperatures to prove the load is overstated. Although this will not help quantify the effect for other homes, it will convince you to treat by-the-book heat loads with a grain of salt. The economic balance point (EBP) for electric supplemental heat is strictly a function of the heat pump's COP curve. Unfortunately, manufacturers don't publish COP except at one or two temperatures, but the COP curve is easy to calculate from the expanded performance data (also need the air handler blower watts). As Allison points out, the EBP isn't a factor in southern climate zones. To wit, the typical 15 SEER heat pump has a COP of 2.0 at 0F. I wanted to say a few things about dual fuel heat pumps, since the subject came up in the comments. With natural gas prices at decadal lows, a dual fuel heat pump will obviously have a higher economic balance point than electric strips (not so with propane). But unless you live up north, the number of hours where the temperature is below the EBP is unlikely to be enough to justify the considerable extra cost (heat strips are cheap). More importantly, many people don't appreciate the fact that with a dual fuel heat pump, the furnace must pick up 100% of the load once it turns on, so most of the hours between the economic BP and the thermal BP will end up actually costing more with a dual fuel HP. This is why I prefer hydronic supplemental heat in cold climates provided that natural gas is available (like electric supplemental, a hydronic fan coil can run simultaneously with the heat pump). The most important factor that determines the amount of supplemental heat a home will consume has to do with the controls. You've probably heard advice to never use setback with a heat pump. The fact is, even thermostats with 'intelligent setback' feature will activate strip heat unnecessarily, especially when outside temperature is high enough to quickly recover from setback without help from the strips. Although it's possible to connect an outdoor sensor to lock out the strips above a certain temperature, the best strategy to save with heat pumps is to install a manual override switch on the Aux heat circuit (typically the W1 white wire on stat), so the homeowner can leave it off until it's really necessary. He or she will quickly figure out what the true BP is for the house. I believe such a switch is required in either Washington or Oregon, perhaps other states. BTW, don't use the breaker to override the strips since this will also override re-heat during defrost cycle. I think that was more like a dollar! There's not much surprise to those of us who do them that Manual J loads are inflated. I'd be interested in what range of actual balance points you've seen in the homes you monitored. Thanks for your excellent comments, David. My home from 1993 in Charlotte was built in 1980. It had 4 ton 9-SEER heat pump (2350 sfcfa). The system was obviously oversized as evidenced by mildew found in master closet. The balance point was 29 to 31. I'm not sure if the AC would have been oversized had it not been for the oak tree canopy covering the roof. Also, I had ducts sealed by a local hvac company who went through a utility sponsored training program at Advanced Energy. I designed and built my next home in 2000, also in Charlotte (http://veryuniquehome.com). It had walk-out basement and was passive solar design with R30 walls, R50 ceiling, and good windows (0.30/0.30, except northern low-e in sunroom). Ducts were inside. My cooling load was only about 1.6 tons (3165 sfcfa), so I specified a 2-ton heat pump (dealer required me to sign a waiver since he swore that would never work). The balance point varied from 24 to 28 depending on solar gain and wind. The design temp for Charlotte is 23F. My current home in SE Arizona was built in 2005. It had 4-ton AC with 90kbu furnace. The duct system was designed for a 5 ton AC. I'm told the contractor substituted 4 tons at last minute due to shortage of 5 ton units during building boom. Good thing, because the MJ8 design load is only 2.2 tons! By the book, the heat load is 33kbtu. I sold the furnace and AC and had a 3 ton heat pump installed, hoping to eliminate need for strips (also some concern for attaching an even smaller system to ducts sized for 5 tons of air). Turns out I should have gone with 2 tons. The actual cooling load based on cycle timing at 95F is only 1.8 tons (2560 sfca), and my heat load is only 13kbtu at the local design temp of 28F. I had the strips disabled until we broke 100-yr record last month as temps dropped into the single digits (last winter never saw 25F). The first night of the cold snap, my compressor was still cycling at 18F with relatively high winds (I had reduced thermostat to 67). The strips finally kicked on as the temp fell through 14F. The following night it dropped into the mid-teens. That night,the strips kicked on at about 19F, which is likely close to the true balance point. This suggests the first night's performance was due to heat stored in the slab (solar gain). Here's a balance point chart I created based on worst case observations at each end of the spectrum (blue line). David wrote: "the best strategy to save with heat pumps is to install a manual override switch on the Aux heat circuit ... so the homeowner can leave it off until it's really necessary"
I agree 100%. I did this in my own home (ground source heat pump in ND with >9,000 heating degree days). I NEVER turn it on. I consider the plenum heat as emergency heat, to be used if my compressor fails. I have done audits on homes with air-source heat pumps where the homeowner complains of high electric bills. It’s almost always the strip heater control. Everything works fine but the strip heat kicks in when it shouldn't. Homeowners just want a kill switch for the electric heat. David wrote:" You've probably heard advice to never use setback with a heat pump. The fact is, even thermostats with 'intelligent setback' feature will activate strip heat unnecessarily"
I have heard this too, and I agree about the unnecessary strip heat activation. However, I have experimented with set-back on my system and it works fine. Some caveats – don’t set it back TOO much. Heat pumps need more time to recover than typically oversized, brute force fossil fuel heat. In my old house(gas-fired), I used to set back 15F. Now I only do 6F. You have to experiment to find the right time to have the system turn on so it’s not cold when you get up. I actually vary the time when the weather gets warmer. I think this arrangement is actually more efficient. My heat pump works continuously to recover from the night and work-time set-backs. Otherwise, it tends to cycle. NEVER use set-back when strip heat is available. The system will fall back to strip heat. I think a problem is that heat pump manufacturers think consumers expect instant heat like fossil-fueled systems. We need to change our mindset. If I come home from work and the house is cool (well, cooler, like 66 instead of 70) I can put on a sweatshirt and wait an hour or so, or fire up the pellet stove. Of course, my experience is with a GSHP that runs all winter long. Air source has limitations that ground source doesn’t. Henry, I didn't make it clear in my comment that the main idea behind having an override switch is that it allows the homeowner to use setback or make ad-hoc changes to thermostat setpoint without worrying about unintentional activation of strip heat. Without the override, even the most intelligent thermostat will often engage the Aux circuit even when not needed. No thermostat can replace homeowner judgment as to when supplemental heat is actually necessary. I just wish HP thermostats would include an override switch. Obviously, the colder it is outside, the less you can reduce temperature and expect to recover without assistance. As you have described, homeowners figure this out pretty quick if they're educated and interested. Of course, some folks don't want to be bothered with any of this. In that case, I specify a thermostat with outdoor temperature override sensor. 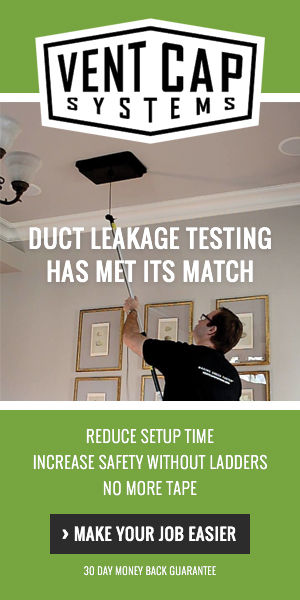 However, it requires some tweaking to determine lowest setting that will do the job for a given home and homeowner. Thanks for the response, David. Makes perfect sense. In your experience, do more homeowners welcome more control of their heating system, or would they rather not be bothered? BTW, just looked at the uniquehome link. GREAT HOUSE! Did you work with an architect on it? I've been surprised at how many homeowners are willing to take an active roll in managing strip heat. Probably over 75% in my experience. My 65-yr-old sister resisted for a couple of years. I finally installed a switch anyway. Now she swears by it. Most of the discussion assumes electric resistance. I am trying to find a formula when using an air source heat pump with a 95% efficiency gas back up in Phila Suburbs (PECO Electric Residential Heating Service, RH ,and Gas Residential Heating Service. I am interested in the "economic" balance point and the BTUs consumed balance point. With rates changing every 3 months it would be nice to have a formula. Also, is the savings in the time that the gas furnace operates,compared to the time that the heat pump must operate accounted for anywhere. My Trane dealer says they are getting back to me with the answer to these questions. I doubt that they will since I have been asking them for several years now. Drew, not surprising that your dealer can't (or won't) help. In my experience, most don't know how. Calculating the economic balance point with any precision requires the expanded performance data for your heat pump. But you can get in the ballpark if you know the low and high COP ratings (usually published at 17F and 47F, respectively). Your dealer should be able to get this for you. Oh, wait. Trane in its infinite wisdom doesn't publish low COP ratings. Fortunately, it's possible to estimate COP at any temperature from the expanded performance data. I do this sort of analysis professionally. If you're interested, get in touch with my privately. Your furnace operating cost is simply the current gas price (typically priced by the therm) divided by the furnace efficiency. For this type of comparison, we want to use steady-state efficiency, which is not published for furnaces. But if your AFUE is 95%, then 97% will be close enough. Note: if your gas is billed in units other than therms, you'll need to convert to therms. And be sure to include all taxes and regulatory charges that are billed as a percentage or per therm. Don't just divide your bill by the number of therms, since your bill will include fixed costs such as the monthly service charge. For example, if gas costs $11.12 per decatherm including taxes, then the steady-state operating cost would be $1.15 per therm produced at 97%. Now convert your electric rate from kwh to therms at 1 COP (same as resistance heat) by multiplying the rate by 29.3. If your electric rate is tiered and/or varies by season, use the highest (marginal) rate that you pay during the winter. Again, gross up this amount by taxes and any variable regulatory charges. Make sure you work in dollars, since your gas price is in dollars. For example, if you're paying a marginal electric rate of $0.1143, then the price per therm at 1 COP is $3.35. Now, divide the electric cost per therm at 1 COP by your furnace's operating cost -- $3.35 / $1.15 = 2.9 COP. Since a heat pump's COP drops with the outside temperature, we need to know at what temperature it will operate at 2.9 COP. This temperature is the economic balance point. With the expanded performance data, it's possible to graph the COP at any temperature. As gas and electric prices change, the graph provides a quick reference to determine the current EBP. If you're good with spreadsheets, it's fairly simple to come up with an equation (using regression analysis) that will solve for a given COP. On the other hand, if you only have the low and high COP, you can create a two-point graph that will get you in the ballpark (COP is non linear). Note that older dual-fuel controls rely on an outdoor thermostat (mounted inside the heat pump cabinet) with a limited number of discrete settings. Instead, I strongly recommend a dual-fuel capable thermostat that allows you to set the switch-over temperature from the thermostat menu. This type of thermostat has the added advantage of operating the furnace on demand rather than a hard switch-over temperature. This will save energy if the economic balance point is lower than your home's thermal balance point (likely the case for efficient homes in markets with lower-than-average electric rates). Otherwise, the furnace will operate much more than necessary, when the heat pump would have been more economical. Forgot to mention... when using the heat pump's published COP (at 17F and 47F) to estimate the COP curve, you have to add the not insigificant cost of operating the blower to the furnace, which is not reflected in AFUE. Not a complicated calculation, but you have to know what you're doing. In short: look up blower watts in the furnace docs (referenced to heat speed setting), then convert to dollars per therm produced. When using the more accurate method of calculating COP from the heat pump expanded performance data, I take a short cut by simply omitting blower watts from the calculation, since it's a wash, or nearly so.